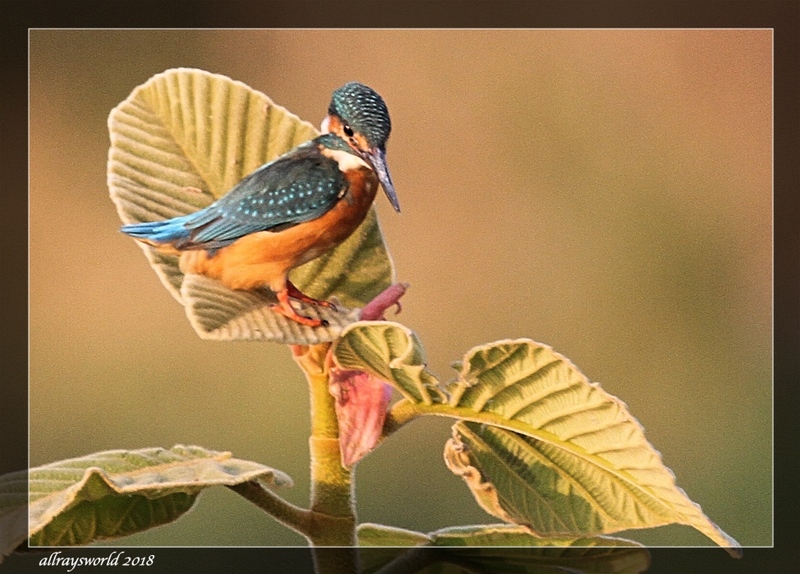 This is the Common Kingfisher, one of Thailand's 12 species of kingfisher. It is a beautiful little character, but tends to be quite human-shy. I recently spent 30 minutes with my camera at a friend's pond, where I made several shots from about 25metres away from the bird. i envy your produce from just 30 minutes, Ray. it took my far more and i came away with far less. Ray: I tried very hard to be unobtrusive, Ayush...no "whooping" or "Ye-hawing". Well done Ray, a difficult bird to capture. Ray: I think I would need a hide to get any closer, Frank. However, I am thinking the 100-400mm lens might need a service, as I expected the details to be clearer. Beautiful images of this gorgeous little bird, Ray! I just love them! Superbe martin-pêcheur. La pêche a été bonne. Ray: Il y a beaucoup de petits poissons dans cet étang, Martine, alors le martin-pêcheur aime être ici. Quel merveille ce martin pêcheur ..
Ray: Les martins-pêcheurs sont les plus beaux oiseaux, Claudine ... très difficile à photographier, mais j'aime bien essayer de faire une capture. 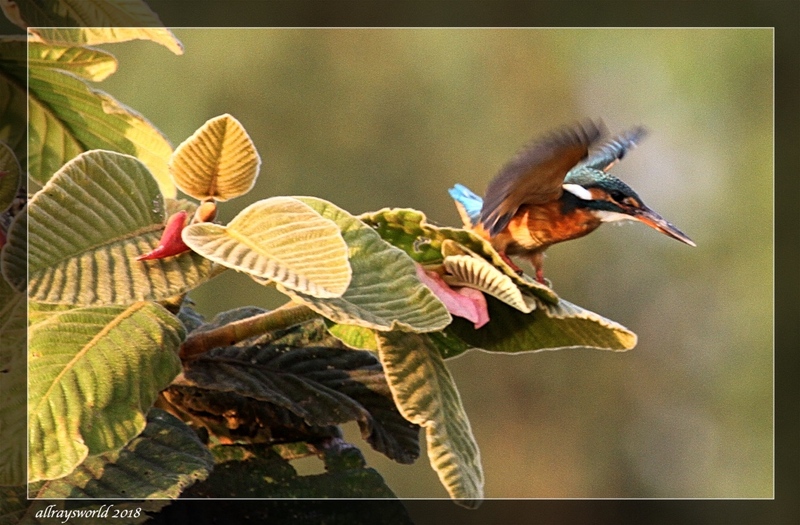 Ray: I remember seeing a kingfisher there, Lisl, but my picture of it was not very good...I am sure you will do better. You've achieved something I've never done. I've only ever seen one but its a soft even before I got the camera up to my eye. A cracking shot of it about to enjoy lunch. Ray: They are wonderful birds, and worth trying to photograph, Alan...a bit more flighty than flowers, or sheep! Oh yes, he has fished a fish! Wonderful images! Ray: He has a fish snack, Philine, and will soon try for another. We have a similar example here in the UK Ray, lovely birds! Ray: I saw one when we strolled along the canal path, Chris, but my shot of it was not very good. I have only ever seen one of our kingfishers once. Ray: Oh...I have seen one of your kingfishers, too, Bill, and I was on your Island for only 8 days. I was going to say that it is a kingfisher Ray, one of the few bird names I know. I was gutted when I saw that you had written it. Perhaps, for sensitive Buddies, I should do like our Trimmo and make a bit of a kid's quiz out of my anecdotes...something like "Who can guess the name of this little fish-dinner-loving bird...starts with K and ends with ER for a total of 10 letters?" You have three fine shots here. Over here they are a popular subject although I don't think there are any round our way, and there is some question over the legality of photographing them under certain circumstances, especially when they are nesting. Ray: Kingfishers are quite common and successful birds in Thailand, Brian...so far as I know there are no laws around protecting them. They tend to be human-shy, so getting close enough to make reasonable shots is a challenge. Aren't they wonderful? We have the Belted Kingfisher here. In summertime I can predict the feeding time of my resident family. I do not have a proper lens for it though so suffice with my personal lenses, the eyes. Ray: Kingfishers are a delight, Mary. You are fortunate to have a nesting family near you. Great shots, Ray - you are lucky to have the opportunity. This is actually the same species as ours. It certainly looks like the one I saw on a hedge next to the Avon canal near Bath.